Despite all of the benefits offered, we are the lowest priced premium basketball league in New York. Listen to NFL legend and loyal league member Cris Carter talk about his NYC Basketball experience on his hit FS1 show: First Things First. Barclays Finals for all Divisions. 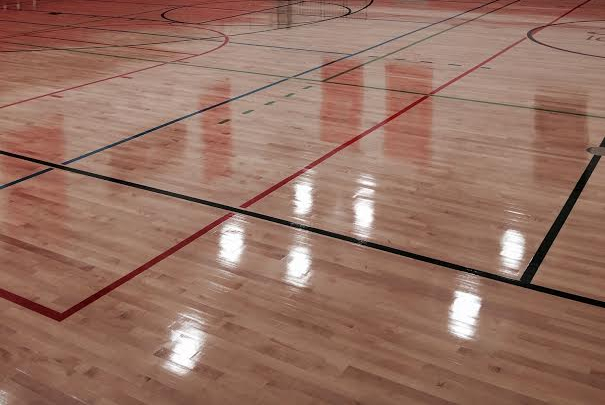 We provide our members with some of the best competition-sized indoor courts in the city, all of which are conveniently located near major subway lines in Manhattan between 2nd St and 96th St in both the West and East side of Manhattan. Each league game has two hand picked, experienced officials that work to make sure a fun and fair game is had by all. We think we have some of the best referees around. Our two trained statisticians at each game do way more than just keeping score. They work hard to manage all aspects of the game while recording accurate statistics that measure your performance whenever you step on the court. but busy like the rest of New York? No problem. We hold all of our games at premium, private facilities between 7th St and 95th St in Manhattan. Every location is near major subway lines and our games always start on time. We provide members with some of the nicest courts in the city at the best times to play. The league also utilizes advanced scheduling tools and does everything possible to schedule your games when your team wants to play. On weeknights league games are held once a week from 6:15 PM - 9:45 PM at full-sized Manhattan gyms and Saturdays games are held from 11 AM - 4 PM. Though we can’t always meet all scheduling requests, we’ll do our best to tailor a schedule to fit your teams availability so no one ever has to miss a game. Two Statisticians at each game use our custom Android app to produce detailed stats and shotcharts. After your game you are immediately sent a text message with a link to review all of your stats on our mobile-friendly site. 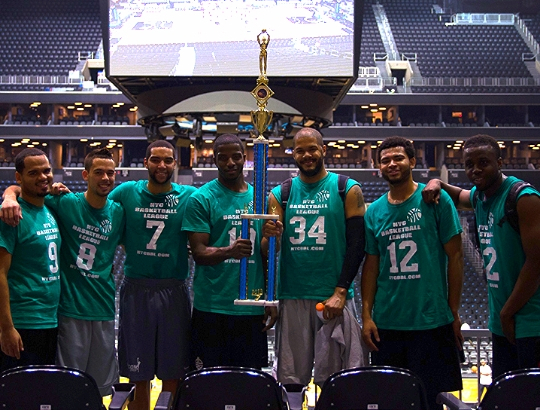 The league is holding all division finals games on the Barclays Center practice court! 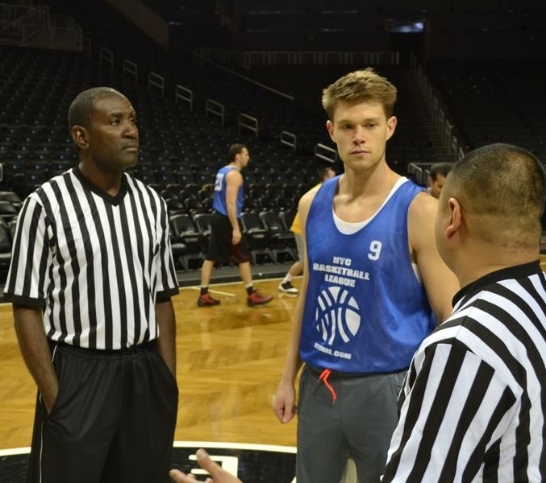 The league also offers the option to play your finals on the Barclays Center's main court. We also offer monthly play at Barclays events which league members get half-price access to. Players can RSVP by email, by text, or on our site. We also allow captains to RSVP for members who don't want to be bothered. 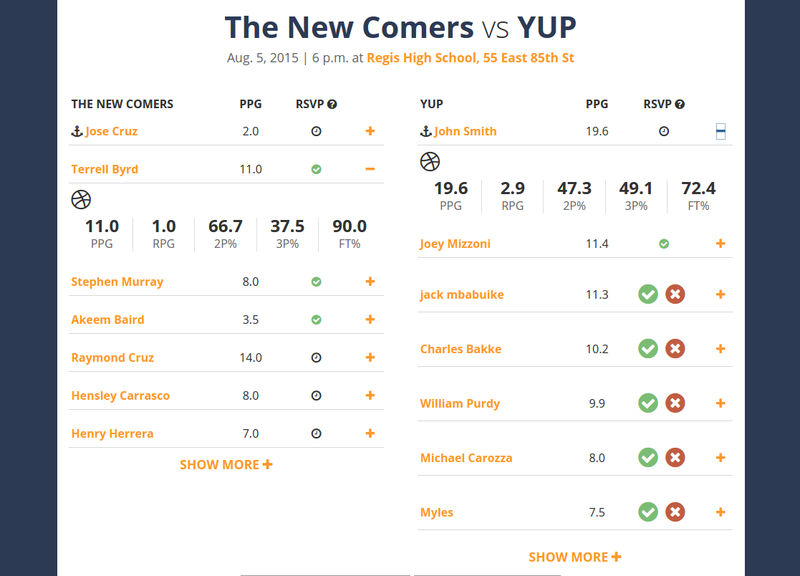 Before your game, you get a preview of what to expect with odds to win and a point spread so you can easily scout your opponent. We provide a digital scoreboard at all of our games so that you can always see the time and score. We also provide high quality Wilson Evolution basketballs for warmup and gameplay. Our statisticians come with tablets and/or computers for tracking all of your stats. Our league was founded and is run by people that love basketball. Our single goal is the build the best possible experience for basketball players in New York. This allows us to pay attention to every detail unlike other organizations that offer a wider range of sports activities. One-Minute registration, no annoying collections, simple roster management, simple scheduling and RSVP, flexible payment options, transparent tools to split team fees, jerseys shipped directly to you.